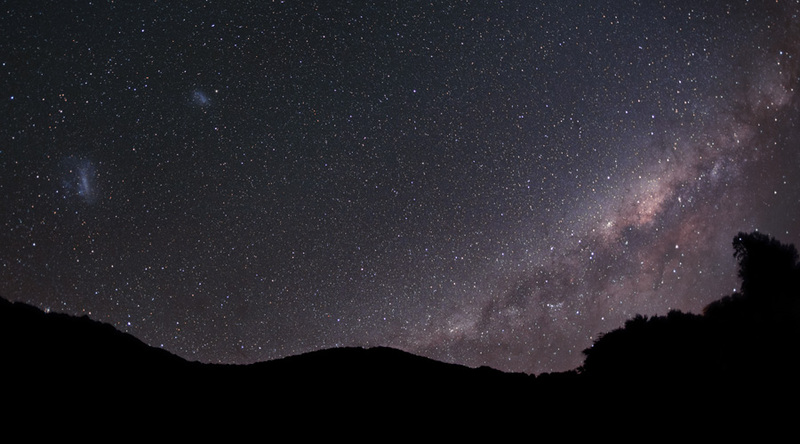 A wide-angle view showing the Magellanic Clouds rising as the central regions of the Milky Way set in the west. 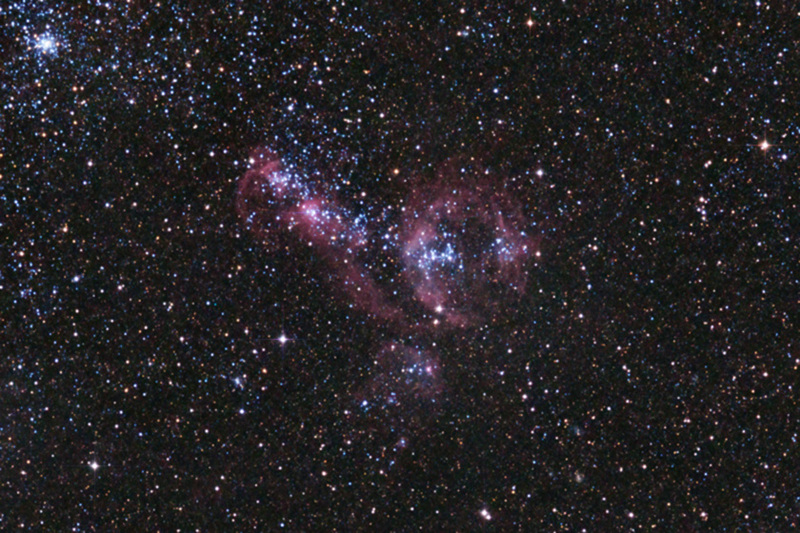 Both Clouds - an image made in 1987, when Supernova 1987A (see below) was visible in the Large Magellanic Cloud. 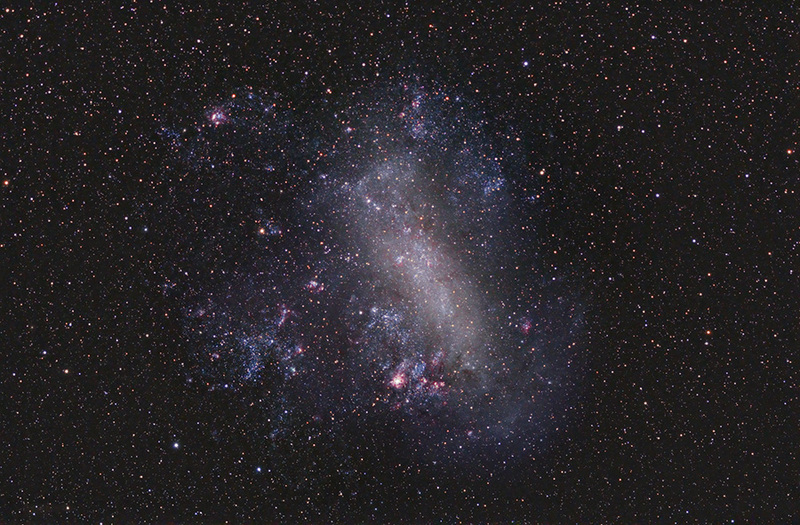 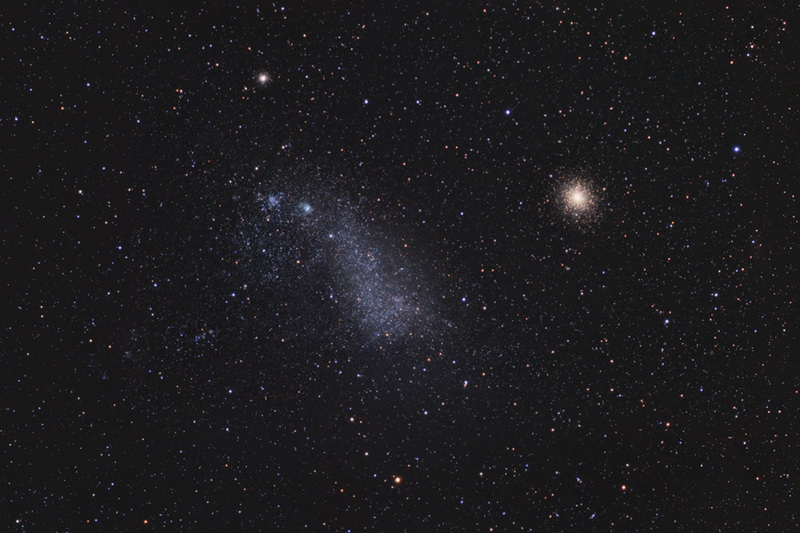 The Large Magellanic Cloud (LMC) in the constellation Dorado. 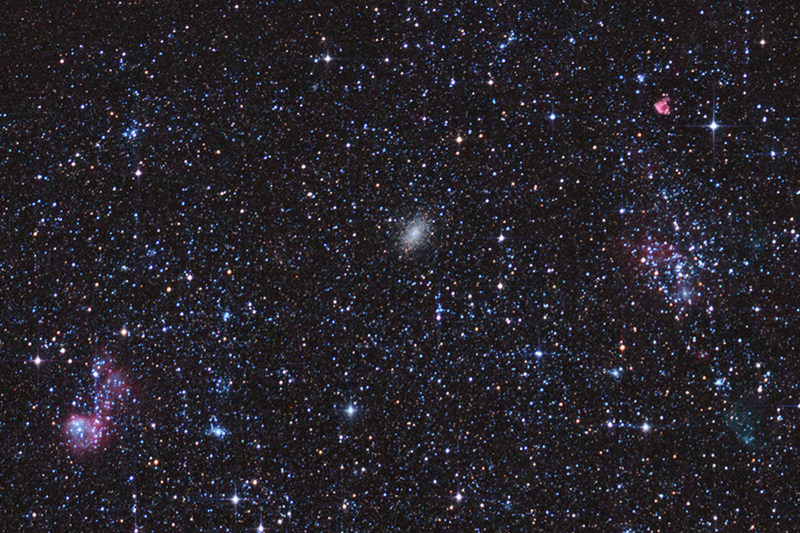 A more detailed view of the LMC. 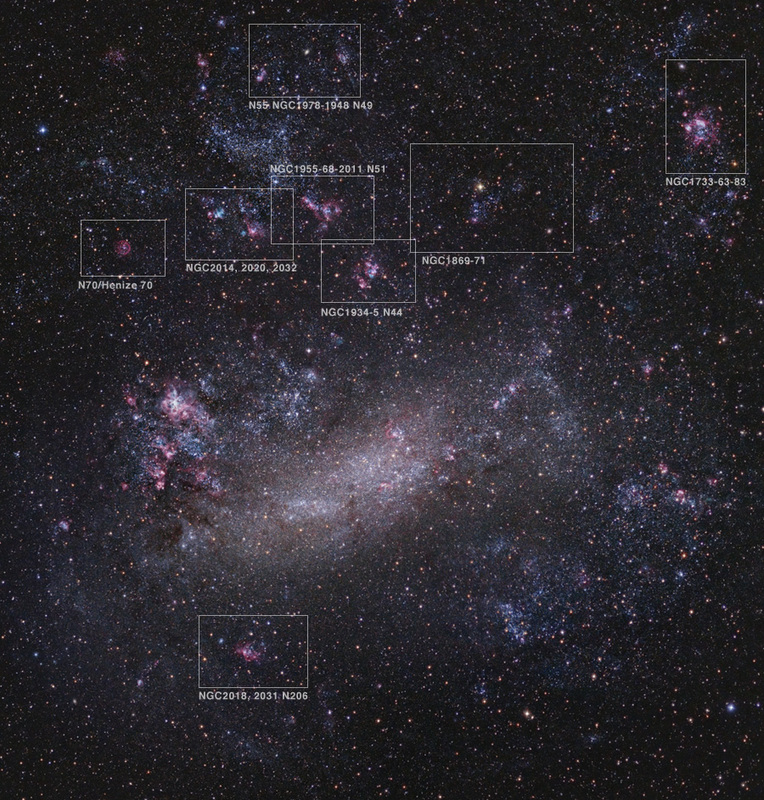 The central regions of the LMC in more detail. 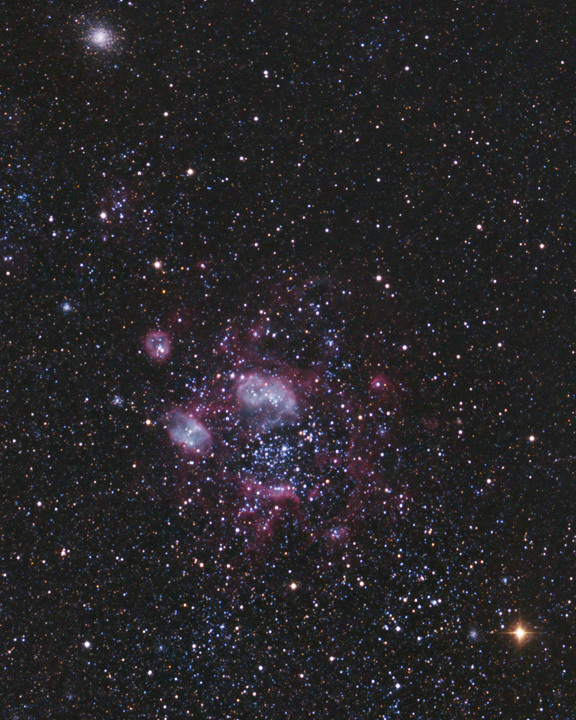 Click here for close-up views of the LMC's brightest nebula, the Tarantula. 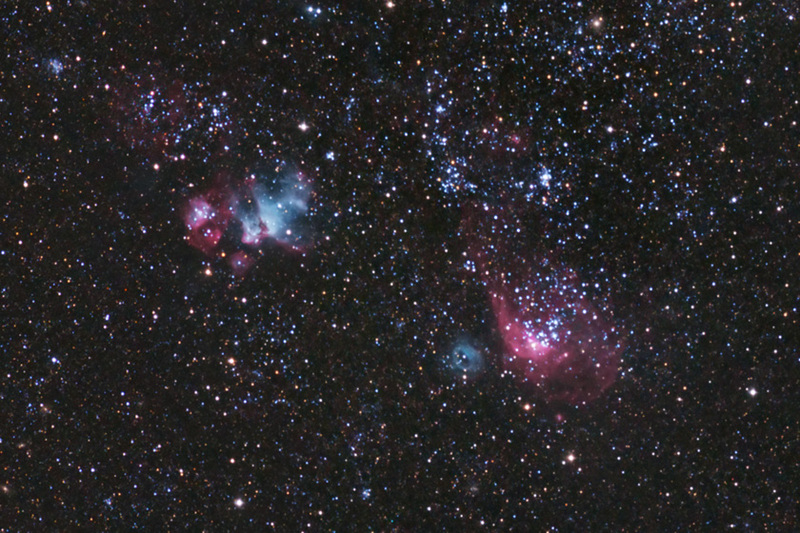 See below for an image gallery of objects within the LMC. 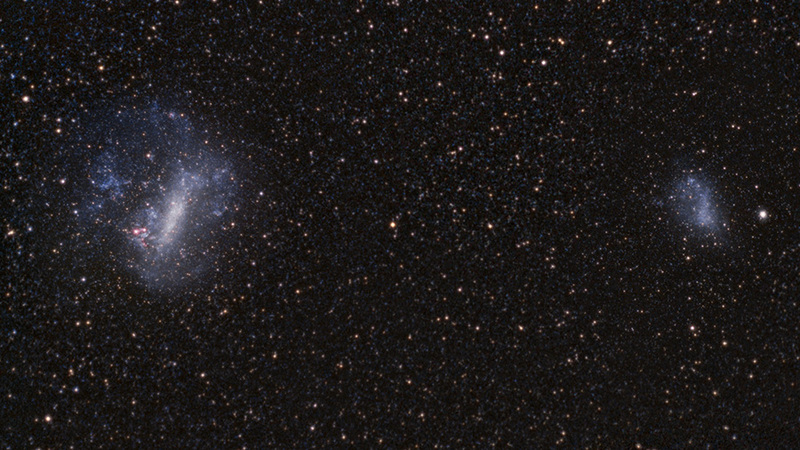 The Small Magellanic Cloud (NGC 292) in the constellation Tucana. The Small Magellanic Cloud in greater detail. 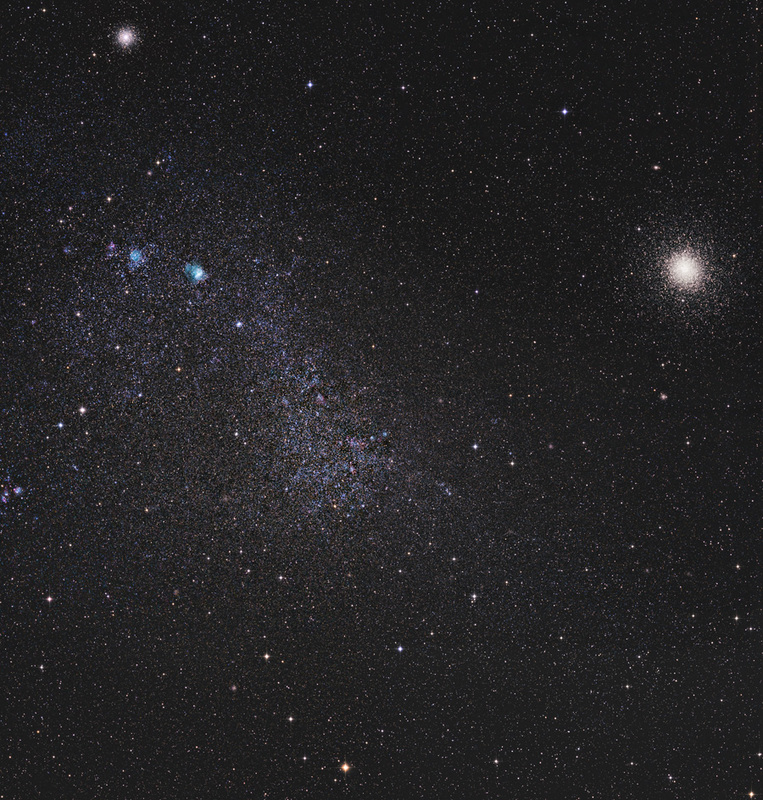 The globular cluster at right is 47 Tucanae (NGC 104). 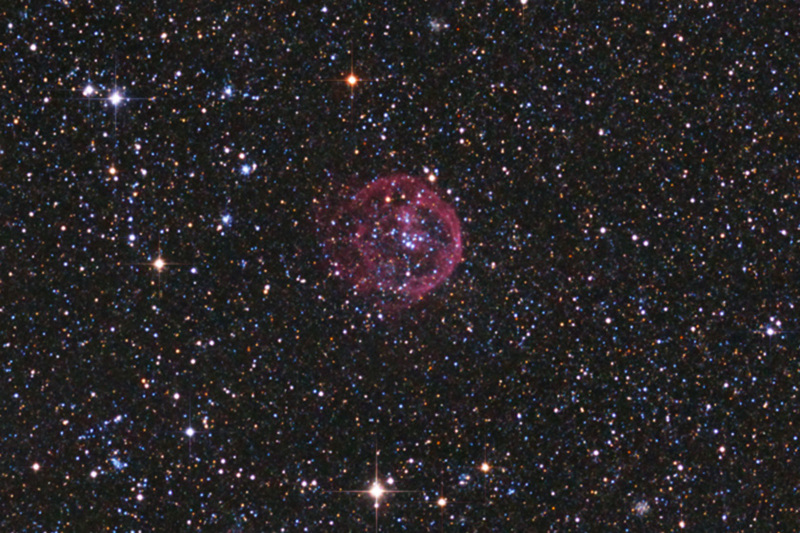 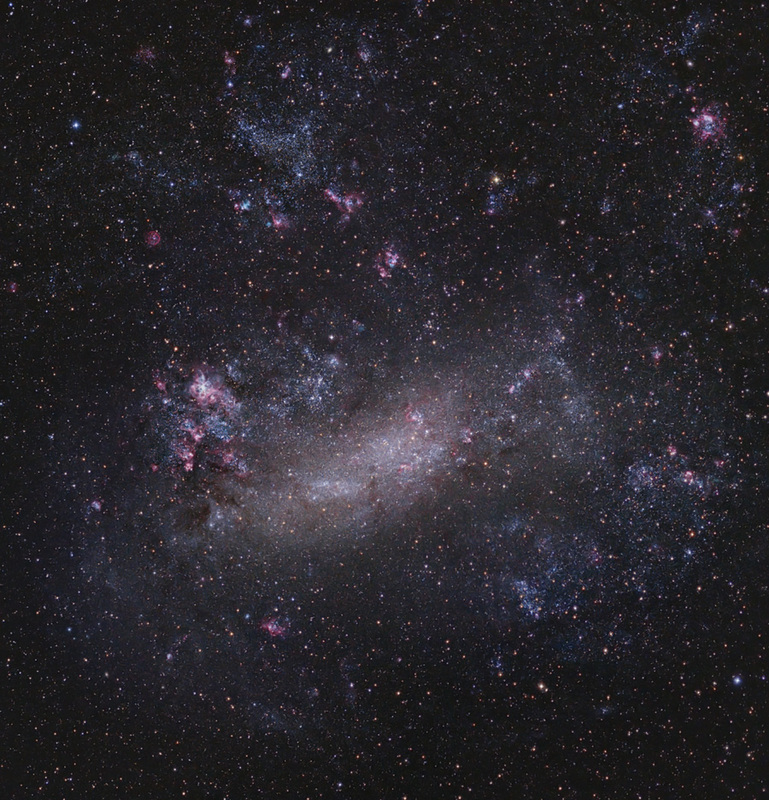 Another globular, NGC 362, is visible at top left. 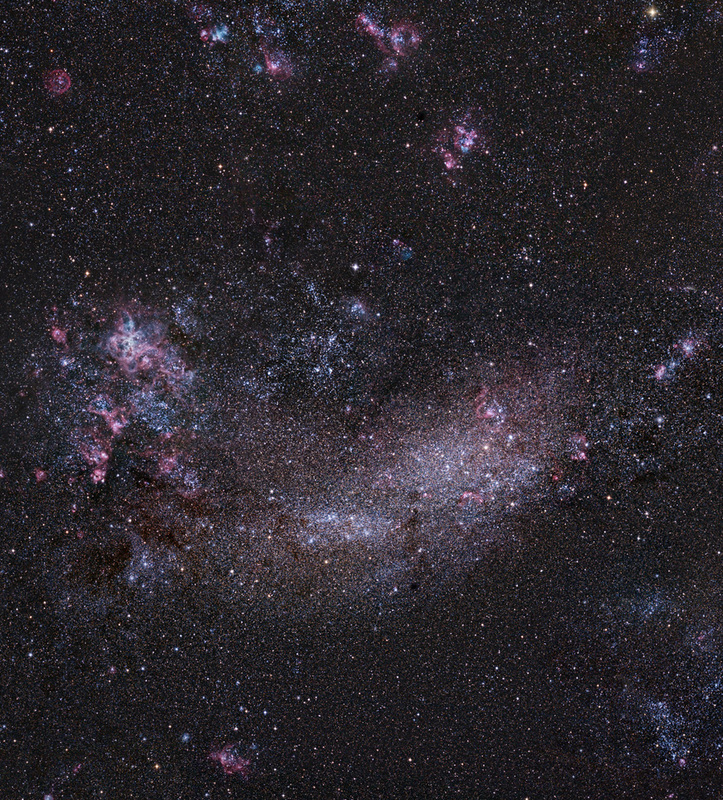 Click here for a more detailed version (3.3 MB). 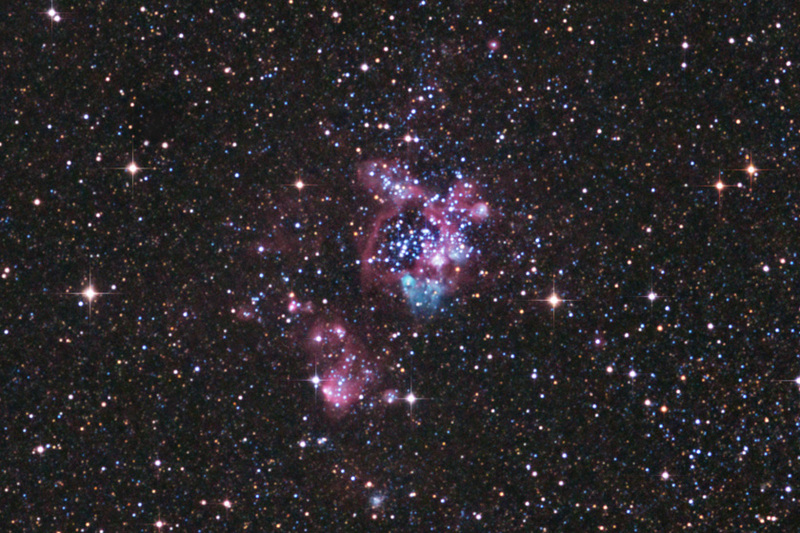 Click here for a detailed view of NGC 346, an open star cluster and associated nebula in the Small Cloud, visible here as the bright teal-coloured area to the left of, and above, centre. 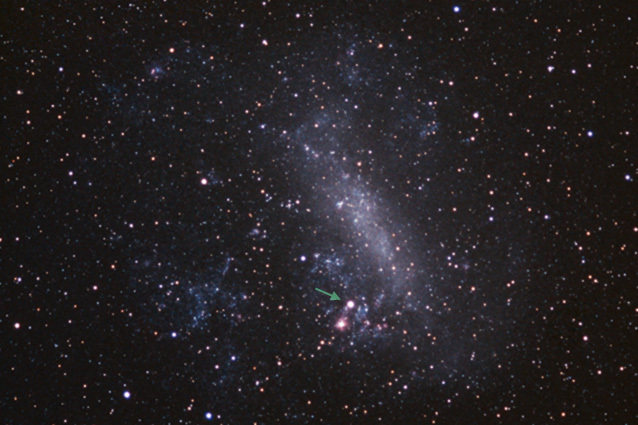 In early 1987 a supernova in the LMC (arrowed, near the Tarantula Nebula) rose to naked-eye visibilty: the brightest supernova observed since 1604. 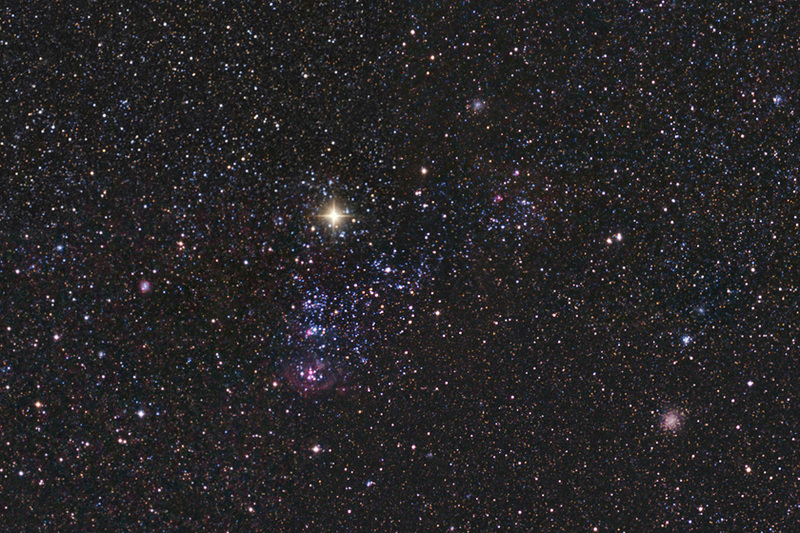 This image was made with an SLR camera and colour transparency film. 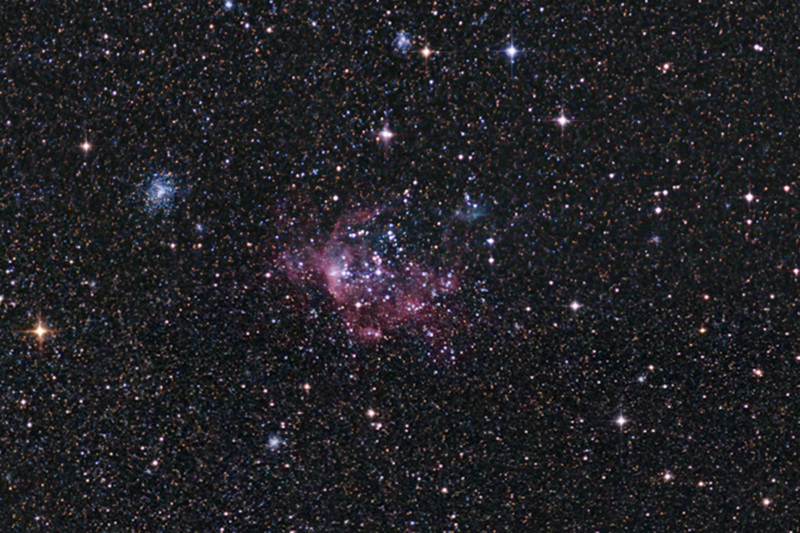 Below, an animated before-and-after image of the supernova.